The CBSE board announced a few days back that students from Classes IX to XII of CBSE schools will have to attend a mandatory health education and physical education class every day. The most important aspect is that this will be a graded subject without exams, though it will be mandatory for the students of 10th and 12th standards considering the time they need to invest in their academics for the board exams. The board has also come up with a 150-page manual detailing sports guidelines and methodologies. One of the most important issue for any country is its demographic dividend, its youth and their health. With modern lifestyles making individuals more gadgets obsessed and dependent, physical activity has more or less gone for a toss. Add to that the increased consumption of fast food, erratic work hours and exposure to various distractions. All this has resulted in an increase in obesity among youth especially children. India has the second highest number of obese children in the world after China. As per the reports of the WHO, China currently has about 15.3 million obese children and India has about 14.4 million obese children. Though this is just about 1.4 % of our population, but this will have a deep impact on the health index of the country apart from other cascading effects. Play is essential to development because it contributes to the cognitive, physical, social, and emotional well-being of children and youth. Play is so important to optimal child development that it has been recognized by the United Nations High Commission for Human Rights as a right of every child. But unfortunately, the socio cultural fabric of our country has always persisted with the tried and tested formulae of academics, job security, marriage and retirement. This template has worked well for basic survival but has hampered the development of the country into a strong, disciplined and fitter workforce. India has already become the world capital for diabetes, heart ailments, mal nutrition etc. This would be great news for the pharma industry but not good in terms of the health index. According to WHO, India ranks 140/190 in the world in the list of countries health expenditure per capita. India has performed poorly on healthcare index in the latest Lancet report titled ‘Global Burden of Disease’, lagging behind countries like Nepal, Bhutan and even Bangladesh. This report, which assessed and ranked the quality of healthcare and extent to which goals are met, the countries were analysed for a period of 25 years between1990-2015. Monaco is the world’s fittest country with a life expectancy of almost 90 years. This is because the European country is so wealthy that many residents of Monaco have their own chefs to plan healthy meals for them. But there’s a less obvious dynamic going on as well, many residents are retired or do not need to work, eliminating a significant source of anxiety, and, thus, associated health problems. Co-Founder & CEO of FitterFly, A Children Fitness and Nutrition Startup, Dr Arbinder Singal had some interesting facts to share. “CBSE has taken a very welcoming and forward looking step for ensuring a healthy childhood. Though academic achievement is important, it should not be at the cost of health or fitness levels of the child. Research shows that healthy habits can be best inculcated between 5-15 years of age. 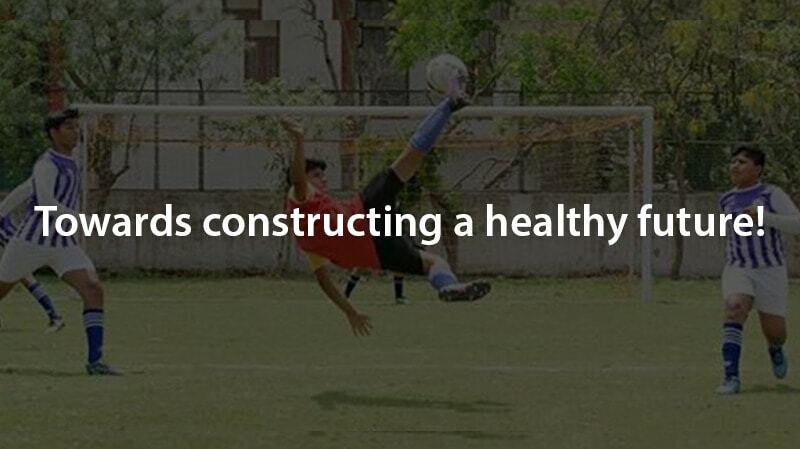 Promoting sports and fitness at this age has long lasting benefits on health and psychology of the child. India is struggling with incoming epidemic of obesity, diabetes and heart disease and all these are linked to unhealthy lifestyle in childhood. “The decision of CBSE Board to include Daily Sports Period for Grade 9 to 12 is a great step towards improving the overall quality of the education experience for students. Sports in schools provides a wonderful way for students to have fun, reduce stress, improve their fitness levels and key life-skills like teamwork. The Grades 9th to 12th have increasing academic pressure and sports can provide a great way for students to approach academics with a fresh mind. While there is a concern about time availability in the packed academic calendar, providing 1 class of sports a day will help students focus and absorb what is being taught in the rest of the day! It is also true that a healthy society reduces the health bill on the exchequer. It also reduced the stress on health care machinery. So does this move of a daily sports period for the children between 13-17 yrs at CBSE schools augur well? Sports and Academics are closely related, each have their effect on the other. Unfortunately we all are programmed to choose any one. This has its cascading effect as those who pursue academics may do well while earning a good living, but falter in their health as the work pressures, lifestyle, anxiety take a toll on their bodies. Very few who take up sports end up making a decent living. But they do live a much healthier life. If this move is executed seriously, it will have a deep rooted impact on the child’s body and mind preparing them further for all the challenges of life. The overall cost on healthcare for all these children will drastically reduce in the next 25 years of their life. This can improve their well being, efficiency and productivity. This would also augur well for the girls as it will help them overcome various physical and mental blocks imposed by the society. This move will also create an opportunity for sports professionals across the country to help schools conduct these activities regularly as many schools would like to creatively and innovatively implement various ideas for execution as suggested by the CBSE handbook. Sports companies working at the grassroots will have to gear up and build up the workforce for executing these activities. This will also be a wonderful opportunity for entrepreneurs to provide innovative sports activities and programs to schools which align with the CBSE boards orders. Considering the Indian “Jugadu” mentality, there lies an impending danger too. With the machinery to execute not really in place, there could be possibilities of schools not investing money and energy, and give grades to students without actually conducting various activities. Over indulgent parents may also try to jeopardize the execution of this model. Many schools in the country also operate without any grounds, especially in urban areas. How will these schools implement the sports period? Most of the institutions have increased their spending on sports, activities, trainers and infrastructure. This is also a ploy to improve their admissions. With the pressure of completion of syllabus allow them to conduct physical education or sports activities daily for the students? The idea pulls the trigger, but the execution is the bullet that hits bulls eye. With a diverse landscape and population, a fitter India will realize its dormant potential. The success of this model will solely depend on the intent of the school as well as the quality of implementation. Till then parents need to allow their children quality outdoor time so as to ascertain their healthy future and also reduce their financial burden and expenditure on healthcare. And as Winston Churchill once said that “Healthy citizens are the greatest assets a country can have”. A country with the world’s second largest population has immense potential and opportunity to build these assets for the future. Are we game for it?